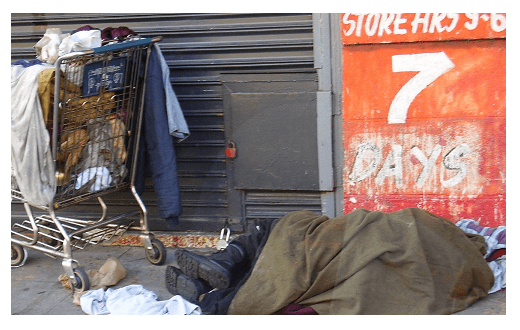 Homeless, on the rise, where’s the commissions on men’s health? Homeless veterans on the rise in San Diego and I suspect everywhere else too. There’s a worthwhile read about homeless vets in the San Diego Union Tribune. Isn’t it amazing that the Los Angeles Board of Supervisors and other legislative bodies actually oppose – often fight vehemently against – the creation of commissions having to do with men or men’s health. Hard to believe that even male elected officials detest themselves so much that they oppose things regarding their own health… or their sons. One Response to Homeless, on the rise, where’s the commissions on men’s health? 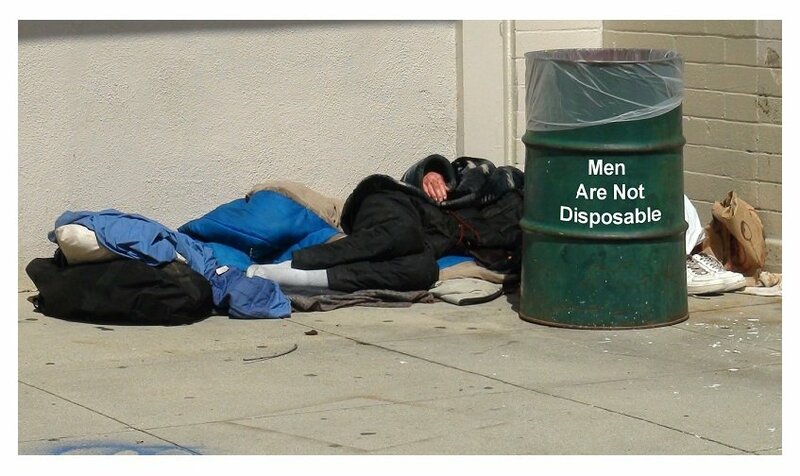 The top photo was taken March, 2011, and no, "men are not disposable," was not written on the trash can. It's been photoshopped on.